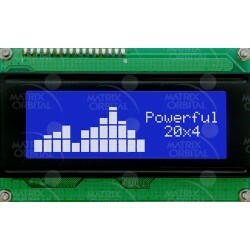 Matrix Orbital offers a full range of displays, with a wide variety of feature sets. Our GTT Series include Intelligent UART Embedded TFT displays with resistive or capacitive touch overlays, supported by a suite of design tools. The Intelligent Series offers graphic and character LCD, OLED, and VFD displays with advanced features like Keypad in Serial, I2C, RS422, USB interfaces. Our Economy Series is a low cost embedded Serial, I2C or USB OLED, LCD and VFD displays. 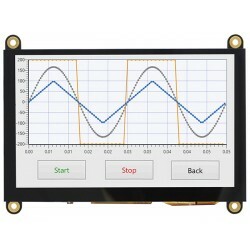 Parallel Series is basic parallel interface into LCD, VFD, OLED, or TFT displays. 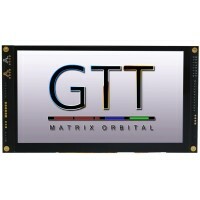 The Matrix Orbital GTT series is a powerful feature rich UART Embedded HMI TFT display. Paired with the FREE GTT HMI/GIU Design software allows users to easily craft crisp user interfaces. Utilizing an extended version of our widely used command library and industry standard communication protocols, the customizable GTT series boasts an intelligent displays that will quickly become the gorgeous face of your application. Embedded HDMI TFT Displays are compatible with the Raspberry Pi, Windows, Linux, BeagleBone and many other systems. Along with the automatic resolution detection, additional features include an optional industrial 5-35V power input, low profile mounting holes, upgradable touch driver firmware, USB Touch Screen, HMI mouse interface, 3 touch options (resistive, capacitive or non-touch) and the choice of horizontal or vertical headers. From the hobbyist to the high volume industrial application, the HTT Series was designed to satisfy a wide range of customer application requirements. 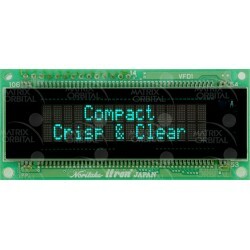 Intelligent LCD, VFD and OLED Series(LK/VK/OK/GLK) displays boast advanced communication protocols, including RS232, RS422, TTL, I2C, and USB. Added features include software controlled brightness and contrast settings, selectable baud rates, general purpose outputs, touch and keypad input, font and bitmap storage, and piezo buzzer output. 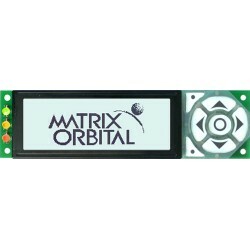 Matrix Orbital’s Economy line of displays feature Serial LCD, Serial VFD, Serial OLED, I2C LCD, I2C VFD, I2C OLED, USB LCD, USB VFD and USB OLED displays. Designed for a low cost solution for personal projects to high volume production runs that requires a low cost, high value display. Features include software controlled backlight and contrast, 3 GPOs and the Matrix Orbital intelligence and ease of use we are famous for. Many custom solutions are available.